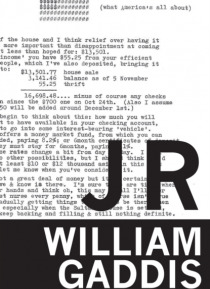 Winner of the 1976 National Book Award, J R is a biting satire about the many ways in which capitalism twists the American spirit into something dangerous, yet pervasive and unassailable. At the center of the novel is a hilarious eleven year old-J R-who with boyish enthusiasm turns a few basic lessons in capitalist principles, coupled with a young boy's lack of conscience, into a massive and e… xploitative paper empire. The result is one of the funniest and most disturbing stories ever told about the corruption of the American dream.